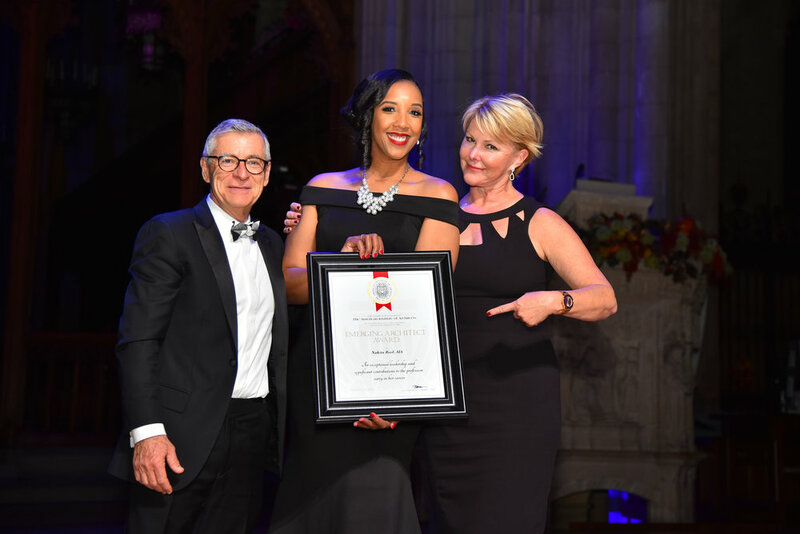 Nakita Reed was selected as the 2018 Emerging Architect Award Winner by the Washington Chapter of the American Institute of Architects (AIA|DC). This award recognizes exceptional leadership early in a career. In the relatively short time since her graduation, Nakita has made significant contributions to the fields of architecture, sustainability and preservation. 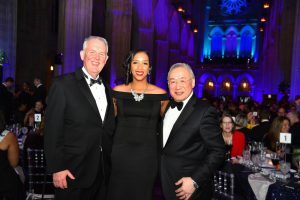 As Encore‘s co-founder and managing principal, she is the current chair of the Maryland Green Building Council and serves on several boards including the Alice Ferguson Foundation, Preservation Maryland and the Benjamin Banneker Development Corporation. 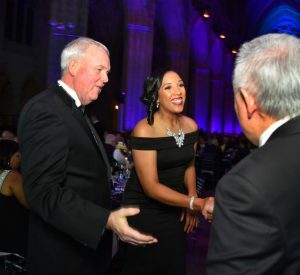 She has been responsible for several award-winning projects including the restoration of the McCormick-Goodhart Mansion in Langley Park, MD. 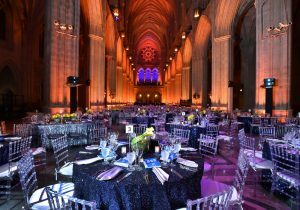 The award was presented by The Washington Architectural Foundation (WAF) and the Washington Chapter of the American Institute of Architects (AIA|DC) at the 6th Annual Fall Design Fête on Friday, November 16, 2018 at the Washington National Cathedral. The Fall Design Fête celebrates the contributions of individuals who make Washington better through their contributions as designers, advocates, and clients. Nakita received her Bachelor of Science in Architecture from the University of Virginia in 2006. She went on to pursue architecture, preservation, and sustainable design at the University of Pennsylvania where she earned a Master’s of Architecture degree, a Master’s of Science in Historic Preservation degree, and a Certificate of Ecological Architecture. Congratulations to Nakita Reed this this well-deserved recognition!